^ * Images and Words was certified Gold in the United States. and the Netherlands. ^ a b c d e “Searchable Database”. Recording Industry Association of America. 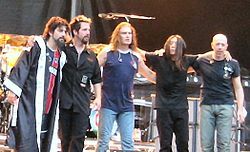 2008年6月13日閲覧。 Note: User must define search parameters as "Dream Theater".